I am a preserver, by that I mean I make use of as much produce, foraged, home grown and free as I can. From my plot (400m2), from friends as well as the local hedgerows and parks. 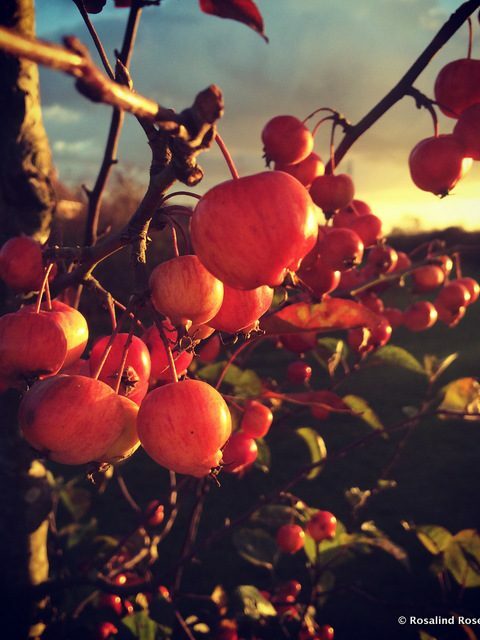 This year I made crab apple jelly for the first time. I’ve never really thought about it before but when walking my favorite pooch in a local park I spied a dozen or so heavily laden crabbie’s just asking to be relieved of their abundant crop. It is slightly disappointed to see fruit spoiling and rotting on the ground so I didn’t feel too bad taking a share of fruit. Still plenty for the birds and beasties. Put fruit into a pan and cover fruit with water (at least 1ltr, I used 2ltr) bring gently to the boil and simmer until fruit goes pulpy. Allow to cool slightly, for handling, and pour mixture into a muslin cloth (or a jelly bag if you have one) suspended over another bowl or pan. Leave overnight to drain DO NOT SQUEEZE the muslin or the resulting jelly will cloud, of course if you don’t mind slightly cloudy jelly then squeeze away! Once draining is done, measure the liquid into a clean pan adding 750g sugar for every 1ltr of liquid. Bring steadily to the boil, skimming off any scum on the surface. At this moment put 2 saucers in the feezer and put your clean jam jars into the oven on a very low heat. Once all the sugar has all dissolved, and NOT before, bring it to a rolling boil, setting point is at 106c if you have a jam thermometer alternatively boil for 10 mins. Once you hit 10 mins take the jam off the heat and a chilled saucer out of the freezer and start testing for the set. Spoon a little jam onto the saucer leave for about a minute and the push your finger through the jelly if it wrinkles then it’s done! 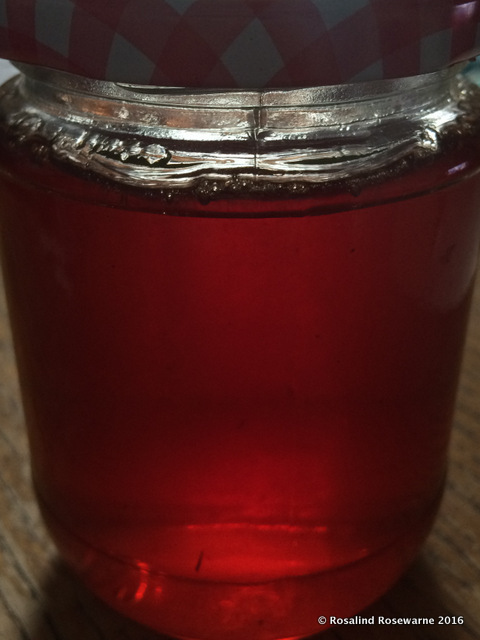 If not return jelly to the heat and keep boiling and try again in 5 mins. I rinse the plate and return it to the freezer. It usually takes me about 15-20 mins at this final boil stage but it all depends on how much pectin your fruit has so it’s not an exact science. As soon as you have reached set point take the jelly pan off the heat. 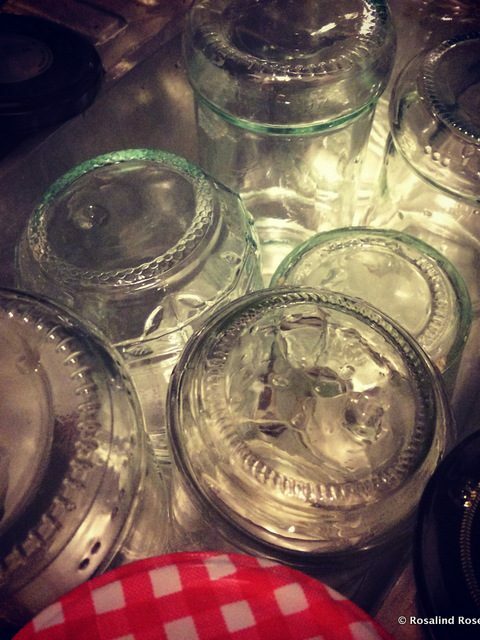 Remove your jars from the oven and bottle your jelly immediately. Lids on asap and screw them tightly shut. It’s delicious with traditional pork dishes but lately it’s made a debut onto roast chickens too. YUM!